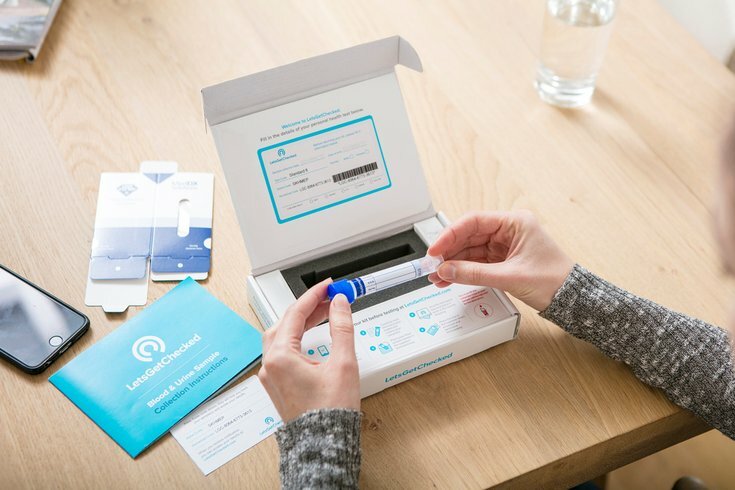 LetsGetChecked, an Irish company, offers at-home kits for sexual health (STDs/STIs), women’s health (fertility, hormones, etc. ), men’s health (hormones, prostate, etc.) and wellness (vitamins, Lyme’s, Celiac, etc.) The tests range from $89 to $299. It’s a fact that many people hate going to the doctor, not to mention sitting in a germy waiting room. At-home health tests took away this dreaded experience for a lot of routine testing by providing a way for consumers to complete the tests on their own at home. These tests also provided a window for those who are curious about intricate facets of their health — such as diseases they may be prone to genetically, and even how to maximize their genetic fitness and nutrition potential. But testing of more important health concerns like fertility, cancer risks and more can also be analyzed. Of course, there are times when it is still a good idea to actually visit your doctor, so use your best judgment, and always err on the side of consulting a medical professional. Measures: The most popular tests include food sensitivity, metabolism, thyroid function and vitamin D levels, however there are more than 25 tests available. Timeframe: After placing your order, you should receive your test kit in three to five business days. Once your sample reaches the lab, you should receive results in about five business days, depending on the test. Details: EverlyWell, an Austin, Texas company, partners with some of the most prominent CLIA-certified labs in the country that conduct specialty testing and provide results that break down exactly what and how results may affect your health. They also provide actionable insights into how to improve or maintain your levels. It’s worth noting that these tests are not currently suitable for minors. Cost: This is an insurance-reimbursed test that must be ordered by your provider. Timeframe: Once your test kit arrives, you swab and then return for lab testing. They do not disclose exact time estimates, but you can track your kit all the way. Details: Your microbiome is the unique collection of trillions of microorganisms in and on your body which play a big part in your overall wellness. UBiome, based in San Francisco, provides analysis of those microbes with their patented precision sequencing methods and advanced computational techniques, which they will email to you or your provider. Timeframe: Your saliva collection kit typically arrives within 3 to 5 days (but express shipping is available). Reports are available in your online account about six to eight weeks after you send your saliva sample back to them. Details: You get so much information from the 23andMe test, but most notably is the genetic health risk report which outlines your risk for BRCA1/BRCA2, macular degeneration, lung and liver disease, celiac disease, anemia, hemochromatosis, Alzheimers, Parkinson’s and other maladies. If you’re starting a family, the carrier status report can help you identify any health issues you may pass on to your offspring. Measures: Fitness Genes tests 43 genes related to fitness, health, and nutrition. Combined with your lifestyle survey data, these DNA traits give a clear view on how your body responds to diet and exercise. Timeframe: Once your sample is returned to the lab in the United Kingdom for processing and analysis, you should have your results in about two to three weeks. Details: By selecting your goal — get fit, lose weight, get lean or muscle build — you’ll get genetically tailored workouts, nutrition guides and personalized actions to remove the guesswork from training. Timeframe: Once your sample arrives in the laboratory, confidential results will be available from your secure online account within 2 to 5 days. Details: Lab partners carry the highest levels of CLIA approval and CAP accreditation. LetsGetTested, an Irish company, uses an automated process, with anonymized patient IDs and revolutionary technology to ensure quick analysis of samples. Plus, there’s a team of nurses available 24/7 to help with treatment options.